Well, hello! 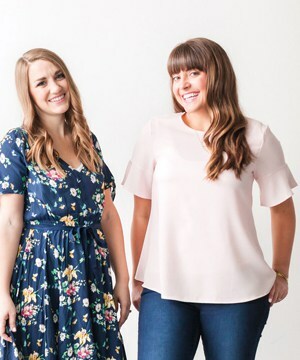 It’s Susannah from Feast + West again! I am back with another frugal recipe for you. 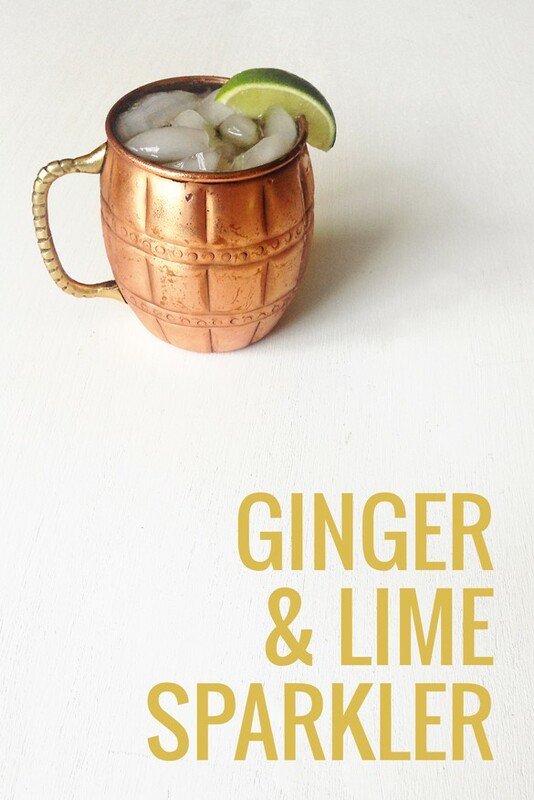 I dreamed up this Ginger & Lime Sparkler, a lovely and refreshing summer sip with a hint of ginger spice. 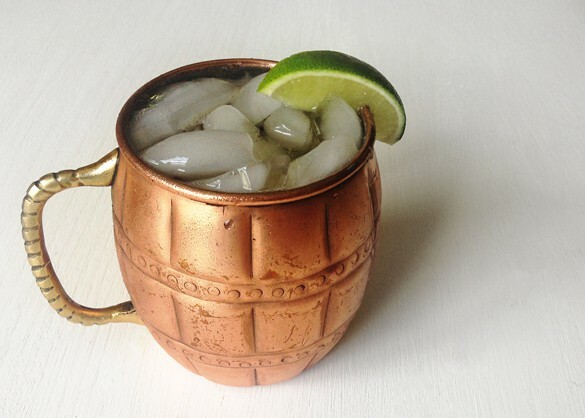 This beverage contains lime juice and ginger beer served over ice. Ginger beer isn’t beer at all — it’s a soda! Similar to root beer, ginger beer is a carbonated, non-alcoholic drink that’s sweetened and flavored with spicy ginger. You can find it in most grocery stores, but you could also make it yourself. I haven’t forayed into making my own ginger beer yet, but it’s only a matter of time seeing as ginger beer is kind-of my favorite. Fresh-squeezed lime juice is my preference in this drink, not the expensive pre-squeezed stuff. I think it makes a big difference, but you could certainly use either. I find that I can usually get a few limes for less than a dollar. 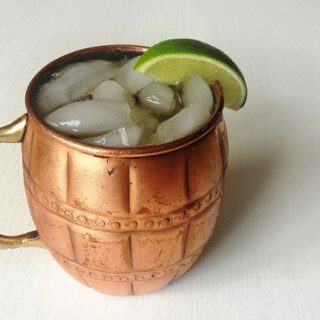 The Ginger & Lime Sparkler could be considered a mocktail version of the Moscow Mule, which is the cocktail that gave the mule mug its name. It contains all the same ingredients its cocktail brother — save for the alcohol, of course! I’m a firm believer that beverages don’t have to be boring, especially if they don’t contain alcohol. If you believe that too, you may enjoy the 12 summer mocktail recipes I shared on my blog this week. Though I’m partial to this Ginger & Lime Sparkler, any of them would be fantastic for a serving as a party beverage or for sipping on hot days. Cheers! 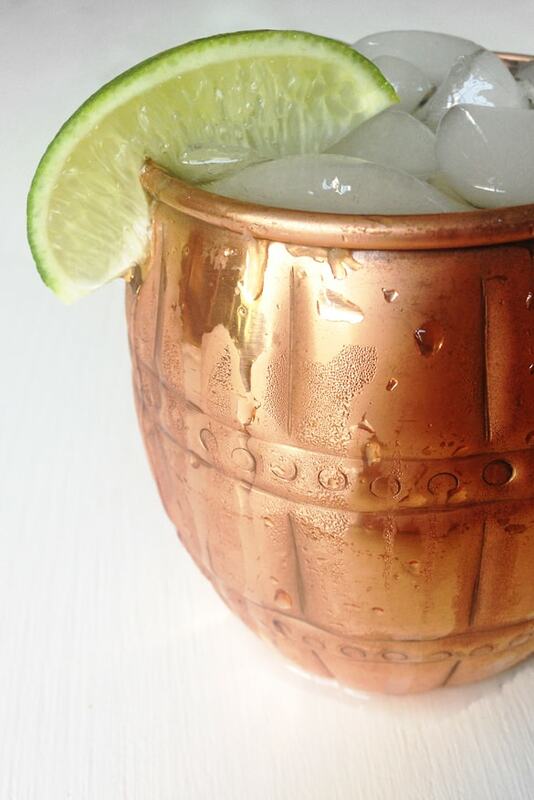 Squeeze lime juice into a copper mule mug or highball glass. Drop in the spent shell of the lime. Fill glass with ice, then top with ginger beer. Garnish with a lime wedge.